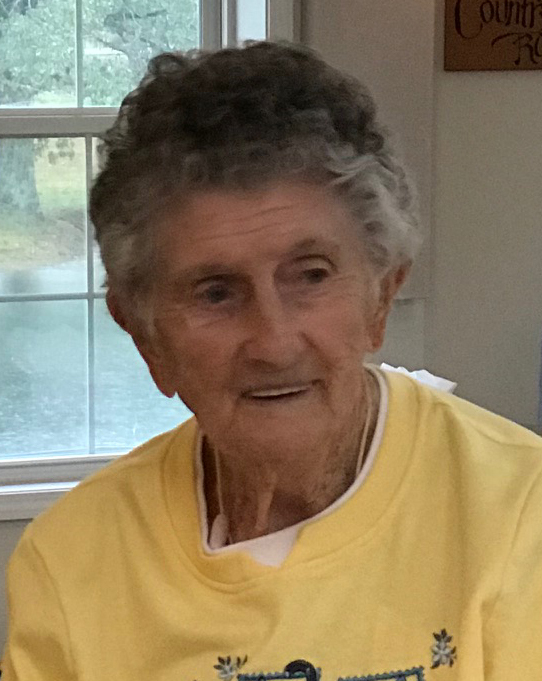 Berthal Cook, age 99, of Velpen, Indiana, passed away at 1:45 a.m., on Monday, August 13, 2018, at her home. She was born September 29, 1918, in Pikeville, Indiana to George and Anna (Uppencamp) Chappell; and united in marriage to Clarence Cook on April 25, 1935. Berthal was a homemaker; enjoyed quilting; and was a member of Cup Creek General Baptist Church where she served as both church and cemetery treasurer. She was preceded in death by her husband, Clarence Cook, who died March 6, 1999; one brother, William Chappell; five sisters, Naomi Smith, Delta Hamilton, Mable DuKate, Opal Tisdale and Lyda Shafer; one half-sister, Oliva Chappell; and her son-in-law, Wayne Startin. Berthal is survived by three children, Katherine Startin of Velpen, Jim (Jeanie) Cook of Boonville and Brenda (Phil) Smith of Washington; by (7) grandchildren, (14) great grandchildren and (5) great-great grandchildren. Funeral services for Berthal Cook will be held at 11:00 a.m., E.D.T., on Thursday, August 16, 2018, at the Nass & Son Funeral Home in Huntingburg with burial to follow at Cup Creek Cemetery near Velpen. The Rev. Terry Russell and Rev. Richard Russell will officiate at the service. Friends may call for visitation at the Nass & Son Funeral Home in Huntingburg from 4:00-8:00 p.m., on Wednesday, August 15th. Memorial gifts can be made to Heart-to-Heart Hospice or Cup Creek Cemetery.